When I tell people I wrote a novel for young adults that is set in the 1990s I get a lot of eye rolls and stifled, behind-the-palm laughter and I just don’t get it. Look, I understand how important it is to live in the present. I do it every day. Isn’t that enough? I mean, was it really such a blasphemous decision to set No Sad Songs in the decade in which I felt most equipped to tell the story, back when I was a teen and watching my own grandfather go through the daily struggle of an Alzheimer’s victim? Is it really such a problem for me to not be obsessed with the minute-by-minute, social media soaked lives we’re now entrenched in, or is it just that people have forgotten how awesome it was to live during the 20th Century’s most underrated era? Here are my top five reasons why I miss the decade where “awesomeness” literally became a part of popular vernacular and the place that my novel, No Sad Songs, calls home. Now, this is a story all about how my life…yeah, you know the rest. Don’t lie. I know you have it memorized. We all do. Every single lyric in this most iconic of all sitcom themes is burned into the grey matter of anyone who lived through the 90s or was brave enough to watch reruns. Besides learning how to dance “the Carlton” and how to “get jiggy with it”, Will Smith taught us how to wear a million, neon colors all at once and reminded us that “parents just don’t understand.” Like, anything. At all. But Smith also set the bar for a new awareness built on acceptance, understanding, and equality. And he’s from West Philadelphia (born and raised), which is also a plus-100 in my eyes. Every time I fire up a device and spend the next two hours responding to meaningless posts and emails, I’m reminded of a time when the only thing that stood between myself and being entirely off-the-grid was a two-by-two inch square of black plastic clipped to my belt in the form of a pager. If someone wanted to contact me they’d leave their number in tiny, pixelated digits and then it was my choice whether or not I wanted to respond. With an actual phone call. See, nobody can stalk you on a pager. Nobody can steal your identity on a pager. In fact, there’s really not much a pager can do besides vibrate…and free your mind to think about things that are more important than cat videos and political memes. Recently, I flipped on the TV on a Saturday morning and was gravely disappointed. Gone were the zany and predictable scenes of Acme safes and anvils flattening unsuspecting animated characters. Gone were the tough, Brooklyn accents and the silly cat and mouse tactics set to the oddly fitting crescendos of Mozart and Bach. In their places were sad, sappy space creatures and wimpy, pseudo-toddlers designed to gently caress self esteem levels and eradicate the subtle art of comedic delivery. Nothing like the 90s, where Bugs and the gang ruled the weekend morn and where staples of the newly-rising adult cartoon genre such as The Simpsons, King of the Hill, Futurama, Ren & Stimpy, and Beavis & Butthead filled the weekdays with animated glory. Quite frankly, I haven’t been able to enjoy a bowl of Cookie Crisp since. Don’t get me wrong, game systems in the present day are mind-blowing. I’m flabbergasted every time I see the crystal clear graphics and the fast-paced action of today’s video games. They are all technological feats that mimic real life to such levels it’s downright scary. When you compare a game like “Horizon Zero Dawn” to “Pong” from Atari, well, there’s not much of a comparison at all. But, then again, the one thing that’s lacking from today’s games is a balance between complexity and simplicity. That’s why I miss games like Nintendo’s Tecmo Super Bowl and Mike Tyson’s Punch Out. That’s why I long for the days of watching an animated hedgehog spin wildly through outlandish environments that wouldn’t make sense on any planet in our solar system. Games like these were just complex enough to keep you interested, but simple enough that you didn’t have to spend six weeks holed up in your basement to play them. You could actually see the outside world once in a while, which was nice. Kurt Cobain. Tupac Shakur. Notorious B.I.G. All still alive and producing music in the 90s. There was an avalanche of grunge spilling across the nation from Seattle and LA. The hip-hop scene in New York, Detroit, Philadelphia, and DC brought us legendary acts like The Roots, Jay-Z, Wu-Tang Clan, NAS, and A Tribe Called Quest while gangsta rap ruled the West Coast and made Snoop, Dr. Dre, Ice Cube, and Warren G household names. Did I mention the 90s also gave birth to legendary bands like Nirvana, Foo Fighters, Stone Temple Pilots, Soundgarden, The Red Hot Chili Peppers, and so many more that I dare not list them in this post for fear of burning the entire internet to a crisp. Oh, 1990s, please take me away! About Frank Morelli: FRANK M ORELLI has been a teacher, a coach, a bagel builder, a stock boy, a pretzel salesman, a bus driver, a postal employee, a JC Penney model (see: clerk), an actual clerk (like in the movie of the same name), a camp counselor, a roving sports reporter, and a nuclear physicist (okay, maybe that’s not true). At heart, he’s a writer, and that’s all he’s ever been. His fiction and essays have appeared in more than thirty publications, including The Saturday Evening Post, Cobalt Review, Philadelphia Stories, Jersey Devil Press, and Indiana Voice Journal. His sports-themed column—“Peanuts & Crackerjacks”—appears monthly at Change Seven Magazine. A Philadelphia native, Frank now lives near Greensboro, NC in a tiny house under the trees with his best friend and muse, their obnoxious alley cats, and two hundred pounds worth of dog. This book really grabbed my attention and kept it there until the last page. It explored the mind middle aged woman called Nora. 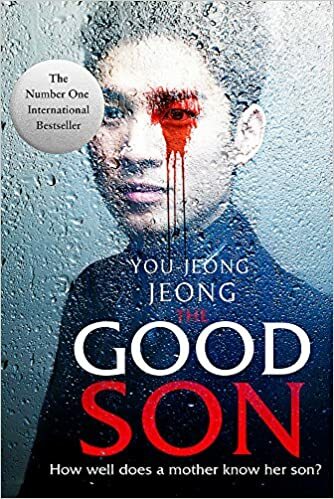 It is a very dark novel so please note this deals with some very upsetting topics and at points is a very uncomfortable and emotionally draining read. I also want to stress that these topics may also be triggers for some people. Having read that this is based on the authors own personal experiences. I am very impressed by the courage this took for Anna Quinn to write. The Night Child is a beautifully written very quick but fascinating read. This novel took me a while to get into and in fact I read other books in between. I really didn’t connect with the main protagonist which was the main problem which was so frustrating.